Sunday morning I went to church with the Podmore's ~ very nice service!! 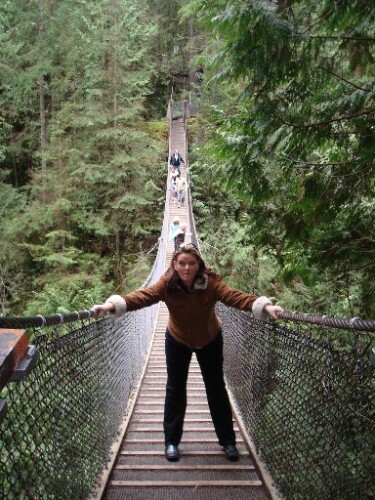 We then headed out to Lynn Canyon Suspension Bridge for a mini-hike!! 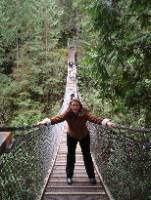 We walked over the bridge into the Lynn Canyon forest, amazing trees with moss growing like weeds on the branches ~ like a real rain forest!!! we hiked all the way down to the river, had a quick snack, then made our way to the top again!! !